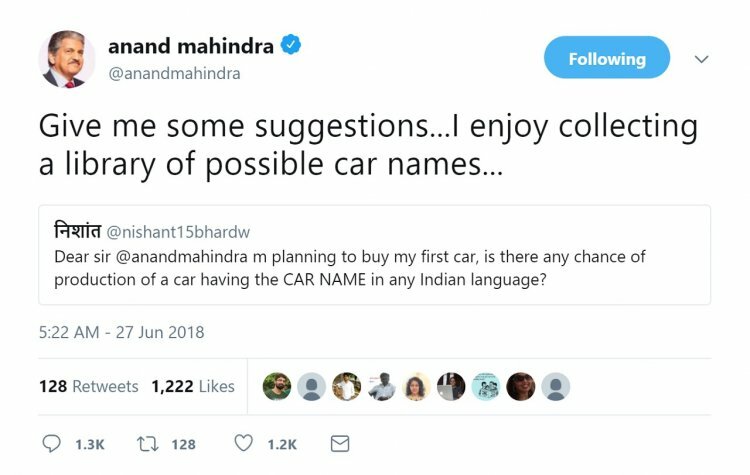 Anand Mahindra, Chairman, Mahindra Group, recently engaged his Twitter followers in conversation soliciting suggestions for future car names. This Tweet was in response to a follower's query about the possibility of Mahindra products carrying nametags in vernacular languages. Anand Mahindra's tweets inviting name suggestions for future products attracted thousands of replies. It has led to certain publications speculating that the Mahindra S201 and Mahindra U321 may adopt an Indian language name. His response to the Tweet leads some to speculate on the possibility of the upcoming Mahindra S201 and Mahindra U321 using an Indian language name. The thread attracted more than a 1,000 replies including some suggestions taking into consideration Mahindra's practice of christening car names ending with 'O' starting with the Bolero. However, with the launch of both cars scheduled this festive season, chances are they have already been named or have a final roster. The Mahindra S201 is a sub-4 m SUV based on the SsangYong Tivoli. It will rival the Maruti Vitara Brezza, Ford EcoSport, and Tata Nexon. Spy pictures of the upcoming SUV have shed light on aspects of its exterior design and the interior. Mahindra's Toyota Innova rival, codenamed the Mahindra U321, will revive its presence in the MPV segment where it fielded the Xylo. Like the S201, numerous spy shots of the U321 have helped uncover details pertaining to the future car's exterior and interior. It will also rival the new Maruti Ertiga and the Renault Lodgy. The Mahindra U321 will be launched to rival the 2018 Maruti Ertiga and the Toyota Innova Crysta. Both Mahindra products are based on a monocoque chassis. 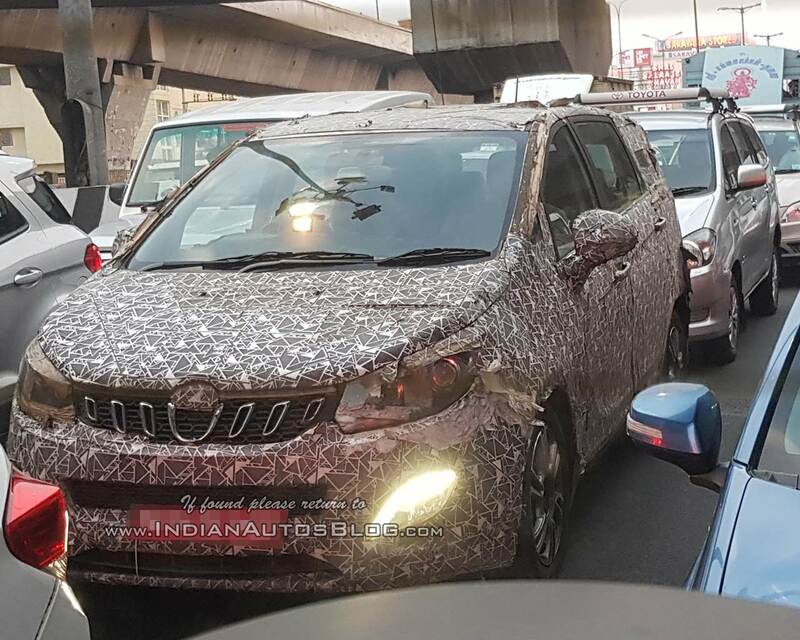 Currently, the other Mahindra cars using a monocoque frame are the XUV500 and KUV100. The company will also launch the Mahindra badged version of the SsangYong Rexton year-end.